Like every spring, I get very obsessed with flower everything. Scents, colours, the actual flowers, EVERYTHING. 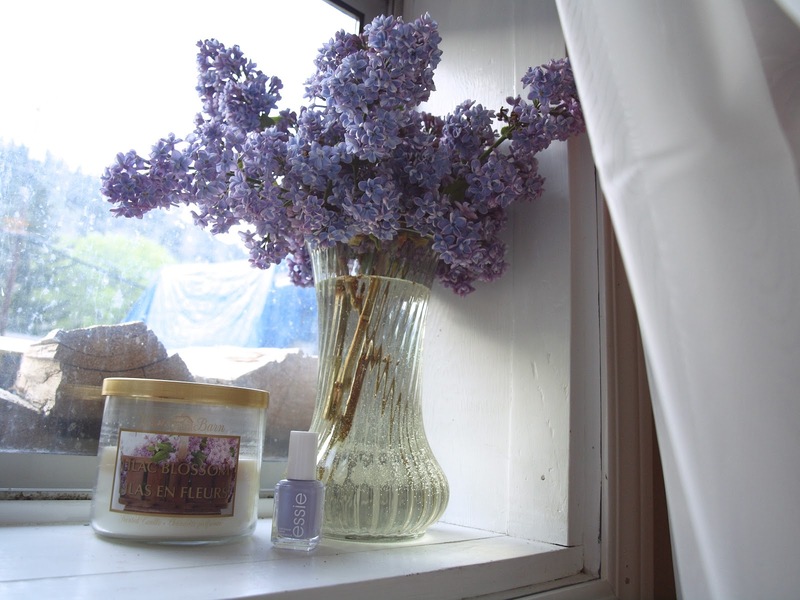 My all time favourite flower is the lilac because of its enticing scent. the colour is also pretty fabulous also. Sadly lilacs only lats a couple of weeks and ours are slowly going away. 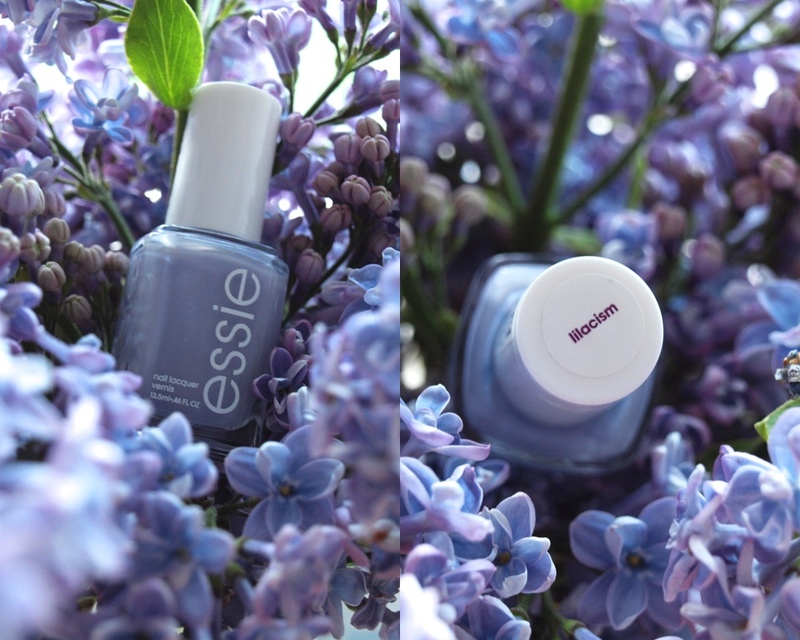 So to pay tribute to the lovely flower, I painted my nails a colour by Essie that is ALMOST the exact colour of a lilacs petals. If you're looking for the perfect pale/pastel purple this is your guy, it looks great on pale skin but I also think it would look amazing on darker skinned girls. The only thing I don't like about this nail polish is that it can look a bit grey in some lighting, and I am not a huge fan of grey nail polishes. 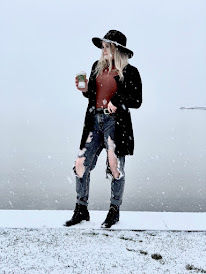 Hope you enjoyed today's post! I really want to do another room tour post, or nail polish collection but I can't guarantee that they will be up right away because they take me a bit more time to put together. Oh wow!! Extremely beautiful color! This is a gorgeous colour ! 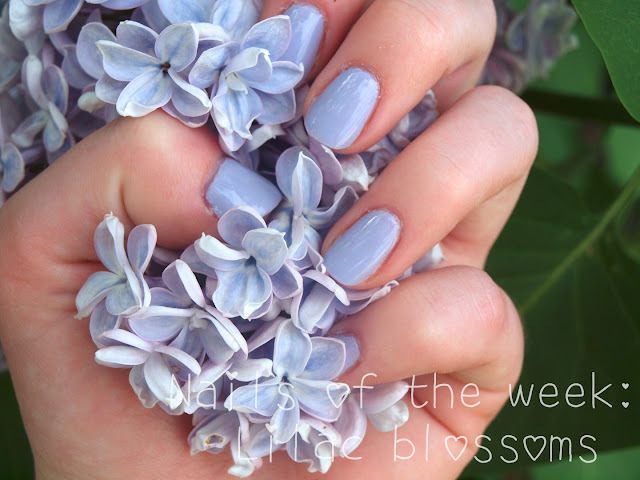 Loving lilac nails at the moment!